Hummus is everywhere, over the past twenty years or so it’s become a mainstream classic, one everyone eats and can be found in any store. All commercially found hummus contains sesame in the form of tahini and so is out of bounds for Little S. In fact hummus gave me the Heebie jeebies when Little S was smaller as we’d often come across other hummus eating children at parties and picnics and they’d invariably get the hummus everywhere, all over their hands and everything they touched. Not a fun situation when you’re worried about allergens. There were many uncomfortable moments trying to keep the hummus away from Little S! I’ve tried just so many times to make a good hummus without using tahini but somehow the results are often just a bit bleurgh – it loses a lot of the moreish umami when the tahini is removed, as well as some of the silky smoothness. Whilst browsing the ‘vegan meringues hits and misses’ Facebook page, I came across the apparently traditional idea of using some of the chickpea water from the tin or cooking (the aquafaba) to give a creamy texture. Boy does it work well! The texture is spot on. 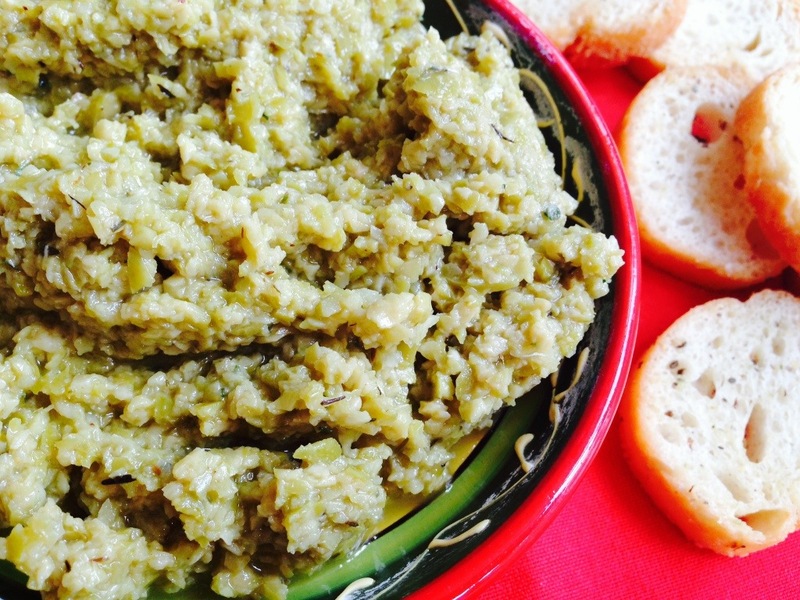 By making sure the hummus is well seasoned you can make a pretty delicious sesame-free dip. Whizz together all the ingredients in a food processor until you have a smooth, creamy mixture. taste and adjust the salt, lemon and cumin to taste. 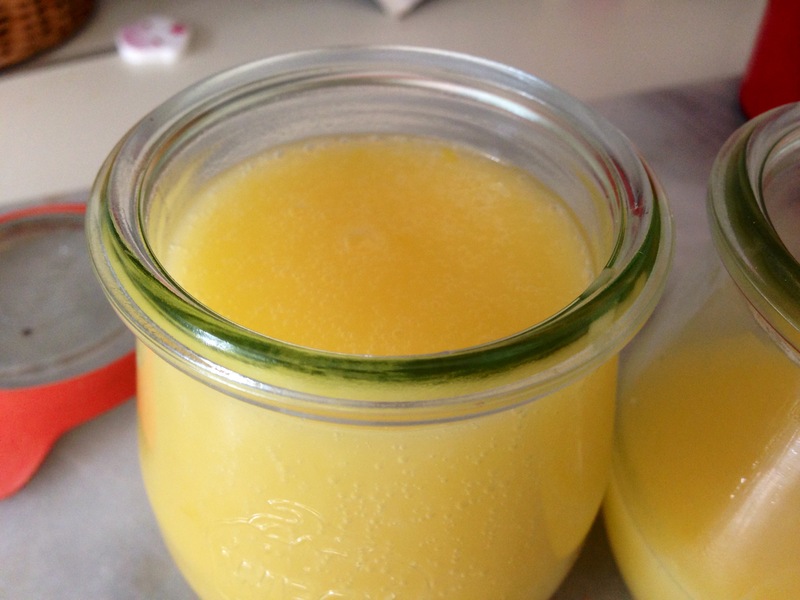 Lemon curd, mmmmmm, so yummy and zingy but also crammed full of eggs and milk – not ideal for us at all! 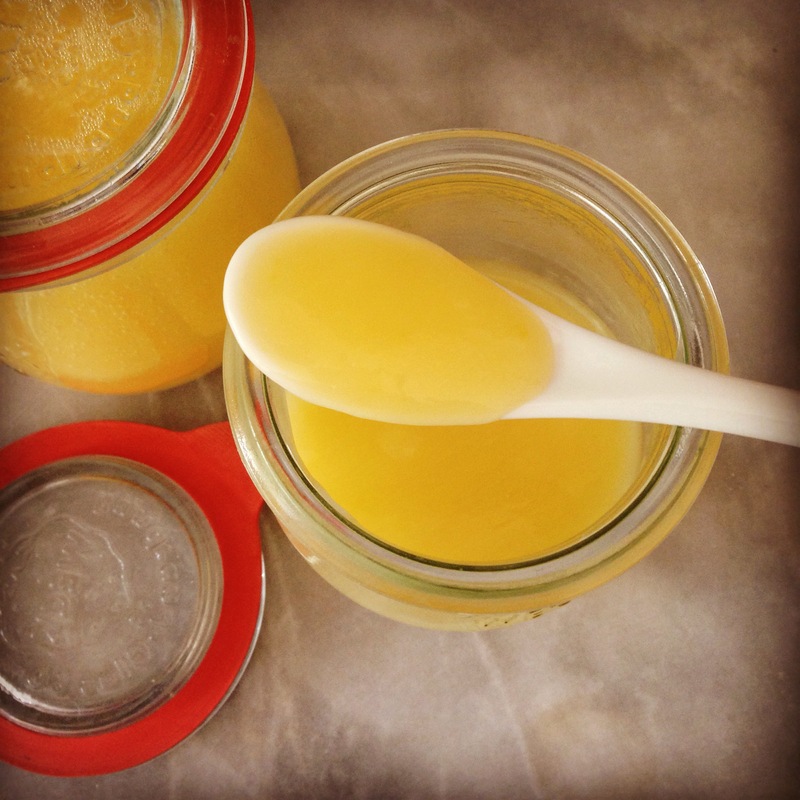 I have such clear memories of not very inspiring school cookery lessons and particularly the one where we made lemon curd – I was so surprised at the ingredients! As a child I imagined lemon curd was made like jam, how wrong was I! Anyway, I had an idea of making a lemon mousse using aquafaba and lemon curd as lemon mousse was my most favourite pudding when I was little. Sadly that experiment was a total failure, resulting in airy foam suspended above a layer of lemon curd – not nice! 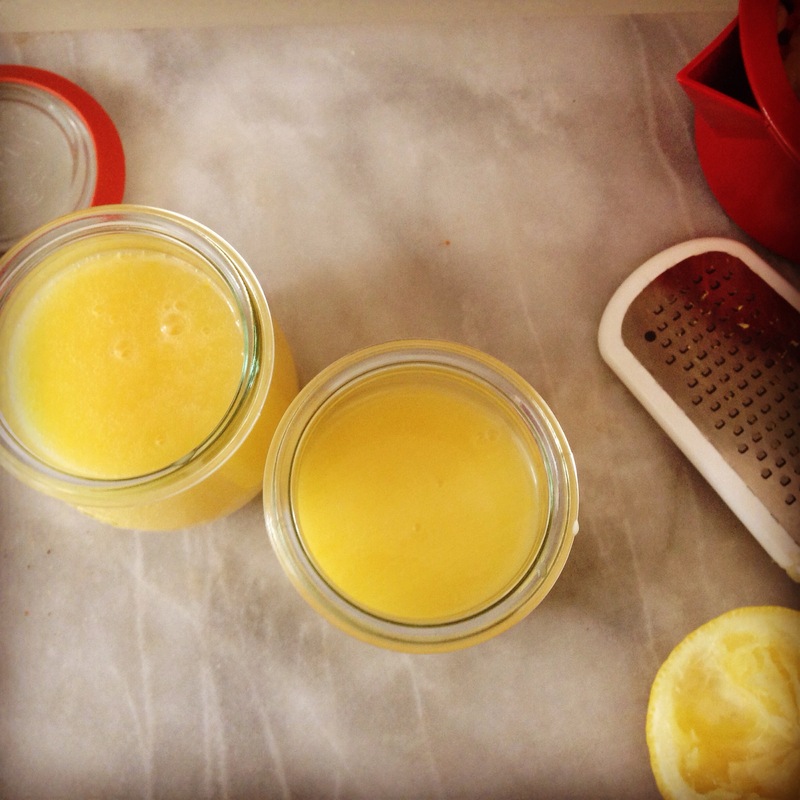 Anyway, it prompted me to make some gorgeous egg and dairy free lemon curd. Yes it is possible, in fact it is actually rather delicious, the only real difference being that it doesn’t keep as long as the conventional kind. Utterly delicious served on toast, with scones or keep some for my divine lemon cake recipe coming later this week. – Dissolve the cornflour in the water and oat milk. Heat and stir until starting to bubble. – Add the dairy-free spread, lime juice, zest, sugar and salt. – Continue to bubble until it starts to thicken. – When coats a spoon transfer to a non-metalic bowl and whisk with an electric whisk for a couple of minutes. – Cool to room temperature and then transfer to the fridge. – This curd will keep for 4-5 days in the fridge. 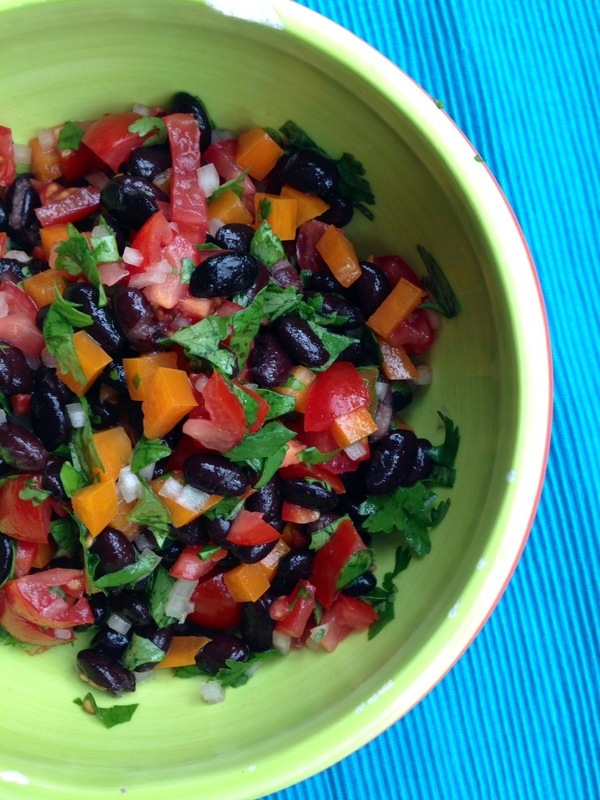 This is a nifty little recipe for an interesting variation on a ‘regular’ salsa. 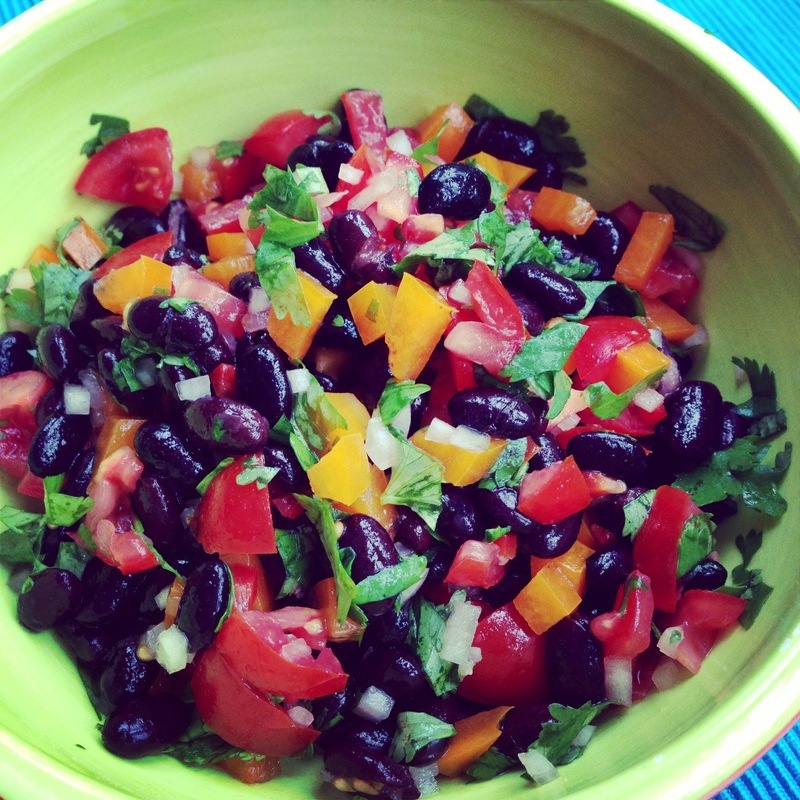 Inspired by a delicious lunch I had at the fabulous the Gate Restaurant the other day, this is my take on black bean salsa. Wonderful scooped up with tortilla chips, as an addition to a wonderful Mexican main course (recipe coming soon!) or a topping for nachos or any tortilla based dish. It’s also the kind of dish that is enjoyable to prepare, just simple ingredients put together in an uncomplicated way. There’s nothing wrong with a tomato salsa (especially this awesome salsa), but it’s good to have more in your locker, and for me a great new way with beans that is fresh and zingy. I seem to always veer towards Mediterranean flavours, but particularly so when the sun is shining – must be all those holidays over the years to various regions of France with my lovely other half that has equated sunshine with the flavours of the Med. 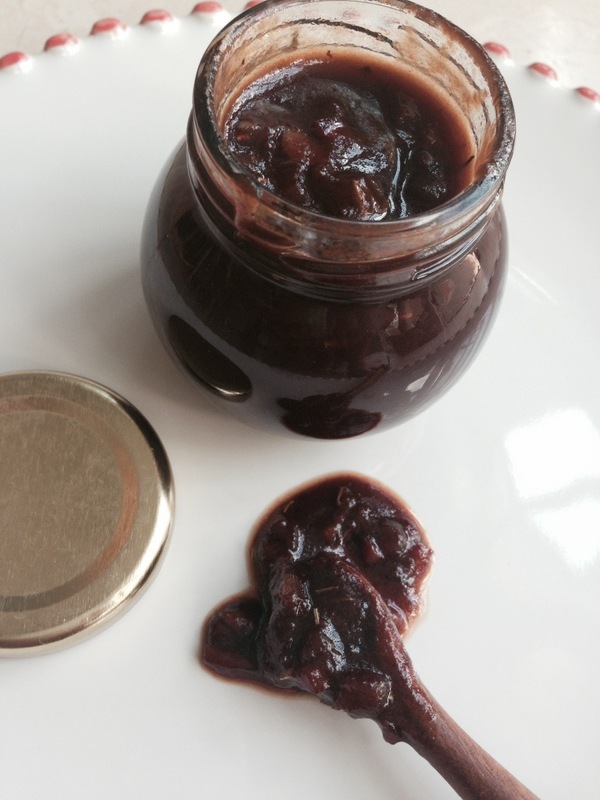 Tapenade is a wonderful savoury spread/dip but is so often fishy with anchovies, or contains traces of nuts – besides anything freshly homemade has to be far tastier – right? 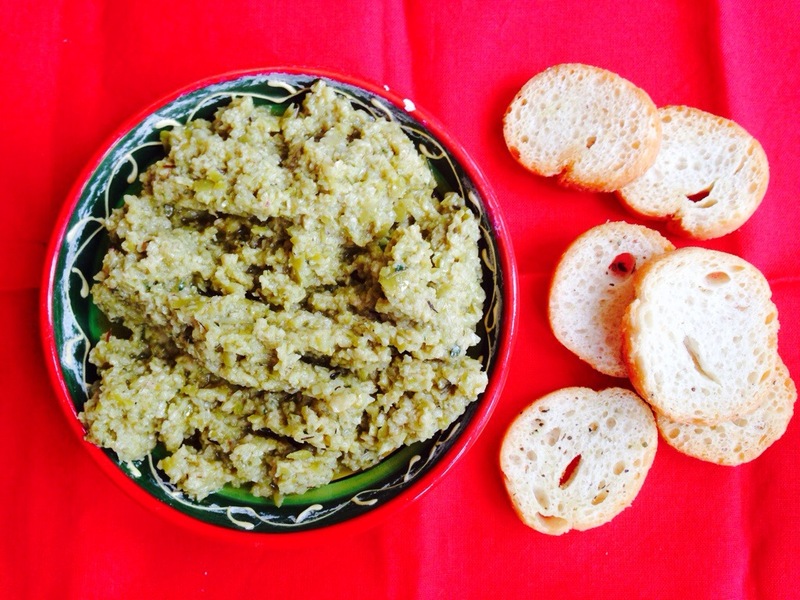 This simple green olive tapenade makes a wonderful addition to any sandwich, would be great to stuff vegetables such as mushrooms or simply to dip breadsticks. I have given 2 variations, one using capers which gives the most authentic flavour, or one using white wine vinegar for a more subtle kick. 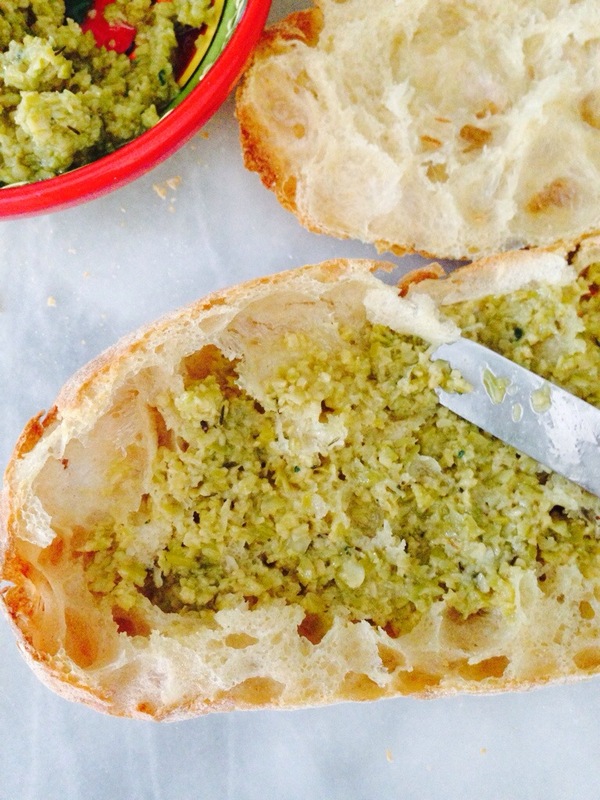 – In a food processor, whizz together the olives, garlic, mustard, capers/vinegar and thyme until well chopped. 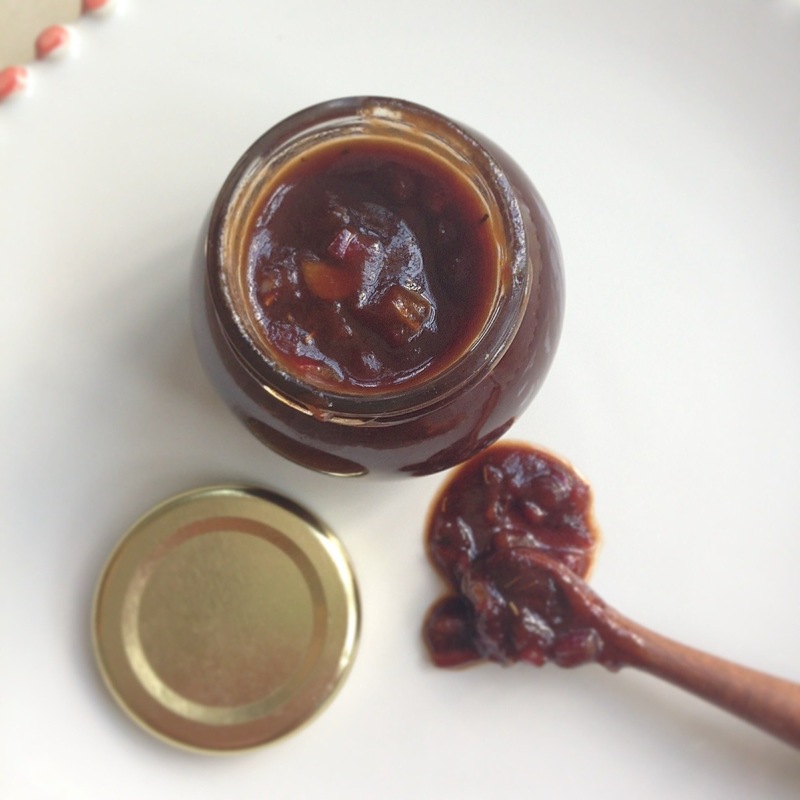 – With the motor running drizzle in the oil until it makes the desired consistency. 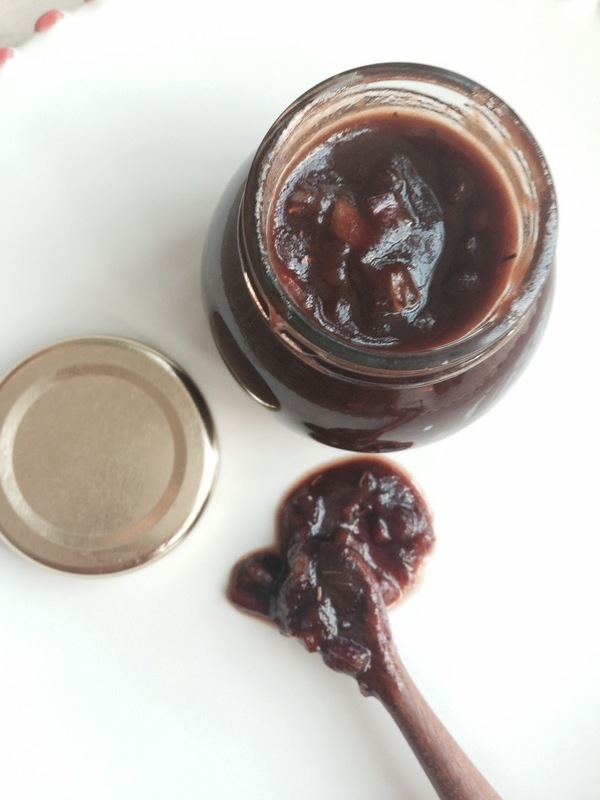 It should be firm enough to spread (ie not liquid) but soft enough to dip in. Like the consistency of tomato purée. Taste and season if necessary.